NOTE: There will be no Sunday morning service at 09.30 hrs on Palm Sunday (14 Apr) at St Peter's Church. There will be a United Sung Eucharist instead at 11.00 hrs at St Mildred's. HOLY WEEK TALKS AT THE CATHEDRAL: Lunchtime talks in the Cathedral Lodge on Monday 15, Tuesday 16 and Wednesday 17 April at 13.00 hrs focussing on the way Jesus used the basic gifts of the natural environment. On the same days of Holy Week at 19.300 hrs Archbishop Justin will give a series of devotional talks based on the Stations of the Cross, illustrated by artwork and photographs of contemporary events. 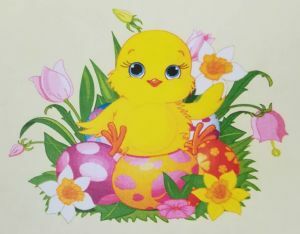 EASTER TEA You are warmly invited to an Easter Tea on Saturday 20 April from 14.30 hrs in St Dunstan's Church Hall. Contact the Benefice Office or phone 01227 786109 to book, so that we get the catering right. We look forward to seeing you then. 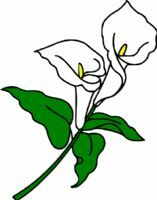 EASTER FLOWERS IN MEMORY OF A LOVED ONE: Would you like to donate some money for a lily or two for the Easter flowers in St Dunstan's or St Peter's Church? If so, bring your money in an envelope with the name of the person you want to remember, and give it to one of the Churchwardens on Sunday. FRIENDS OF ST DUNSTAN are having their AGM on Sunday May 12 at 11.45 hrs in St Dunstan's Church Hall. All members are invited. L'ARCHE have a Saturday sales of plants, crafts and food every week at St Peter’s Church from 09.30 - 15.00 hrs. L'Arche community grows produce on The Glebe at St Mildred's Church. 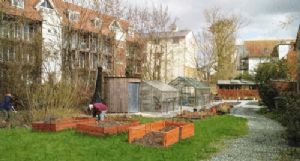 Would you like to share that experience with other passionate growers in a beautiful riverside setting in the heart of Canterbury? 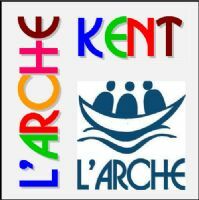 Join this project which is open to friends, volunteers and members of L'Arche, Kent. They will meet on Sundays over the Spring and Summer from 15.00 - 17.00 hrs. Contact: 643025.